Moving can be fun, exhilarating and wonderful. The chance to make a new start somewhere else is a great opportunity. However, when moving it helps to keep in mind the kind of costs involved. Any person planning a move should keep in mind many factors that may affect the cost of the move they in mind. Knowing what kind of specific circumstances may influence the cost of the move from start to finish crucial. Many people are not aware that specifics the number of rooms being moved, the distance of the move and any help they need with packing may affect their overall moving costs. Homes vary greatly in size. If you have a small apartment, your moving costs will be less than if you have a large mansion. The size of the rooms may also affect the move. A move with lots of rooms can be difficult to for movers to work in and may take longer. A home with lots of stairs may also be a contributing factor. Moving items from a basement and an attic will be harder for movers than moving items from a single floor. Distance is an another important factor that determines moving cost. A move across the street is cheaper than a move across town, just like a move within Summerlin might be cheaper than a move from Summerlin to Henderson. Likewise, a move between two states has added costs. Map out a route in advance if possible. If you are new to the area, movers can help you determine the best course of action. They can figure out which areas may have more traffic and might be longer. Avoiding a longer route means saving money because the movers spend less time on the road and more time moving. This will also help decrease the possibility that your valuable items might get damaged. Packing up items in your home can require a lot of planning. 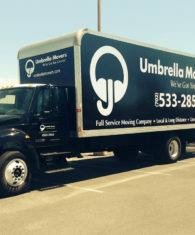 Many people turn to movers for help. A mover can offer packing supplies for sale such as boxes, packing tape and dollies that can be used to bring items up the stairs. However, such supplies can be costly. A mover can help make sure that large items such as a grand piano are fully protected in their truck during the move. Keep in mind that such costs can add up. Ask for a price list of packing supplies and packing help before hiring a mover. When it comes to any move, organization is very important. 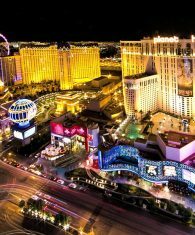 If you are planning to work with a Las Vegas moving company like us, know about the costs you may face before you move. Steps can be taken to help the move flow more smoothly such as packing up items before movers show up and having a detailed moving plan. Keep factors in mind such as the size of the move, the packing you need done and the distance you have in mind as you move. Everyone involved benefits from your attention to detail.